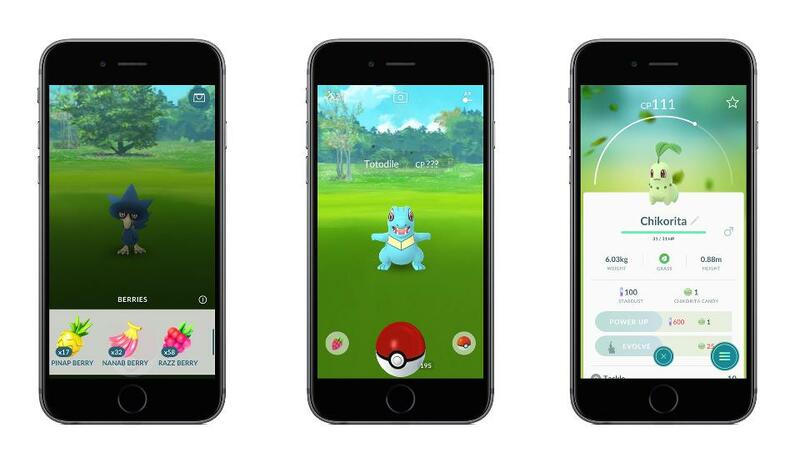 Pokémon GO creator Niantic announced today that Generation 2 is finally coming to the popular mobile game this week and fans are going crazy about this latest update. Pokémon GO Gen 2 is rolling out (almost) all at once with 80+ new Gen 2 Pokémon appearing in the game by the end of this week. This massive update includes a reworking of the encounter/capture system, new items for evolution, new types of berries, and brand-new customization items for trainers. Niantic has sent out a few screenshots of the new update. Check them out below. What do you think of the new update? Tell us your thoughts in the comments. Some really grand work on behalf of the owner of this site, perfectly great subject material. Some really nice and useful information on this website, likewise I believe the design has got wonderful features. What i do not realize is in fact how you’re now not actually much more smartly-appreciated than you may be right now. You are so intelligent. You realize therefore significantly when it comes to this subject, made me in my view believe it from numerous various angles. Its like women and men don’t seem to be interested except it is one thing to accomplish with Lady gaga! Your individual stuffs outstanding. Always maintain it up! Hi there, just was alert to your weblog through Google, and located that it is truly informative. I’m going to be careful for brussels. I’ll appreciate if you happen to continue this in future. A lot of other folks will probably be benefited from your writing. Cheers! I’m often to running a blog and i actually appreciate your content. The article has actually peaks my interest. I am going to bookmark your web site and keep checking for new information. A lot of thanks for your own hard work on this blog. My mom take interest in getting into research and it is obvious why. I notice all concerning the lively form you create good items by means of your website and even attract response from other individuals about this subject and our own princess is without question becoming educated a lot of things. Enjoy the remaining portion of the year. You are always carrying out a really great job. Hello there! This post could not be written any better! Reading this post reminds me of my old room mate! He always kept chatting about this. I will forward this post to him. Fairly certain he will have a good read. Thank you for sharing! hi!,I really like your writing so a lot! proportion we communicate extra about your post on AOL? I require an expert in this house to unravel my problem. May be that’s you! Taking a look ahead to look you. certainly like your web site however you have to take a look at the spelling on several of your posts. A number of them are rife with spelling problems and I to find it very troublesome to inform the reality then again I’ll certainly come back again. It¦s really a great and useful piece of information. I¦m glad that you simply shared this helpful information with us. Please stay us up to date like this. Thank you for sharing. What i do not realize is actually how you’re no longer really much more smartly-liked than you may be right now. You’re very intelligent. You realize therefore considerably with regards to this topic, produced me individually imagine it from a lot of various angles. Its like men and women aren’t fascinated unless it is one thing to accomplish with Girl gaga! Your individual stuffs excellent. At all times take care of it up! Thank you for another informative website. Where else may I am getting that type of info written in such an ideal manner? I’ve a mission that I am simply now running on, and I’ve been at the look out for such information. Magnificent web site. A lot of helpful information here. I?¦m sending it to some buddies ans also sharing in delicious. And naturally, thank you to your effort! Hey very nice web site!! Guy .. Excellent .. Superb .. I’ll bookmark your website and take the feeds also…I’m glad to search out a lot of helpful information here within the submit, we’d like work out more techniques on this regard, thank you for sharing. What i do not understood is in fact how you are now not really much more well-appreciated than you may be right now. You are very intelligent. You understand thus significantly in terms of this subject, made me in my view believe it from a lot of varied angles. Its like women and men don’t seem to be fascinated except it is one thing to do with Woman gaga! Your personal stuffs outstanding. Always handle it up! I am really enjoying the theme/design of your weblog. Do you ever run into any web browser compatibility issues? A handful of my blog visitors have complained about my site not operating correctly in Explorer but looks great in Chrome. Do you have any recommendations to help fix this issue? I have learn some good stuff here. Certainly price bookmarking for revisiting. I surprise how a lot attempt you set to make such a excellent informative website. I went over this website and I conceive you have a lot of wonderful info , saved to my bookmarks (:. I conceive other website proprietors should take this site as an example , very clean and wonderful user friendly design. hello!,I like your writing very much! percentage we keep in touch more about your article on AOL? I require an expert on this space to resolve my problem. Maybe that is you! Having a look forward to peer you. Greetings from Idaho! I’m bored to death at work so I decided to browse your blog on my iphone during lunch break. I really like the knowledge you present here and can’t wait to take a look when I get home. I’m shocked at how fast your blog loaded on my phone .. I’m not even using WIFI, just 3G .. Anyhow, amazing site! This internet site is my inspiration , real superb style and design and perfect articles. Howdy! I just would like to give a huge thumbs up for the good info you’ve got here on this post. I shall be coming back to your weblog for extra soon. Fantastic site. Lots of useful information here. I?¦m sending it to several buddies ans also sharing in delicious. And naturally, thank you to your effort!